The Codelocks CL5510 has all the features of the CL4510 with ANSI Grade 2 rating for commercial use. The CL5510 smart lever lock is a sturdy stand alone access control lock with multiple key free access options, and built in user access audit trail loging . 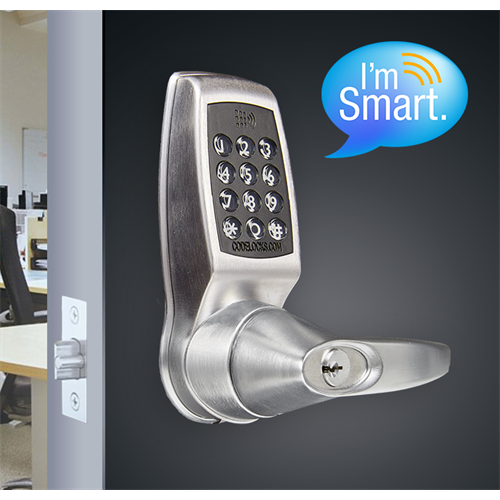 This smart lock can be managed and user operated using bluetooth enabled iOs or Android smart phones using the K3 connect app. This lock is perfect for rental properties, AirBNB, stand alone buildings, cottages and businesses. The CL5510 is suitable for indoor and outdoor use.